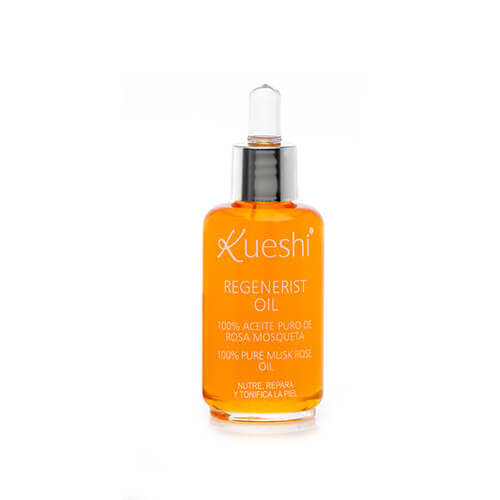 Kueshi 100% Pure Rosehip Oil is powerful natural product with amazing benefits for face and body skin. It is full of essential fatty acids, rich in vitamins (E, C and B-carotene). 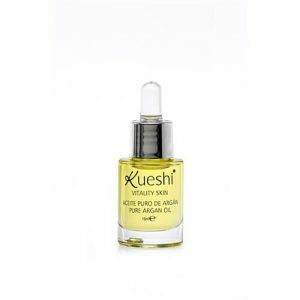 Rosehip Oil acts effectively on treatments to acne scars and stretch marks. It is a truly oil with skin rejuvenating, moisturizing, nourishing, calming and hair conditioning properties. 100% Pure Rosehip Oil (or Rose Hip Oil) is one of the most popular cosmetic ingredients. It’s known as rosehip seed oil too. Also, it’s spelled as Rosa mosqueta oil in INCI (the list of ingredients). 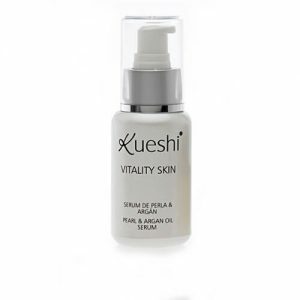 Kueshi 100% Pure Rosehip Oil can be used for the skin with wrinkles. The first visibly results will appear in a few weeks. Day after day the poorly hydrated skin improves while avoiding its dryness and roughness. Rosehip Oil helps to regenerate the tired and lacklustre skin from the inside, keeping it elasticity, smooth and preventing dehydration and roughness. – Regenerates and nourishes the skin, eliminating wrinkles and scars. – Reinforces and increases ceramides barrier within the epidermis, reducing water loss and improving hydration. – It has a great ability to reinvigorate the fibroblast skin cell production of collagen, elastin, hyaluronic acid and responsible for the firmness and elasticity of the skin. – Prevents and corrects photoaging and skin problems due to solar radiation through self-generation of melanin. – Redistributes pigmentation contributing to the elimination of sunspots, as well as those produced in cases of acne, chickenpox or smallpox, hiding the scars caused by hyperpigmentation. The Rose Hip Oil has multiple applications for the face, hands, body and hair. Day: It can be used as eye contour, foundation, for after waxing and after exposure to the sun or other external agents such as wind or cold skin drying excessively. Night: It is advisable to use as a repair after facial cleansing. The oil is applied to the desired areas and gently massage to facilitate penetration. Body: As refreshing oil for after bathing, after depilation, to soothe irritation caused by sun exposure to prevent stretch marks and improve scars. Pregnant women are advised to perform gentle massage on chest and abdomen in late pregnancy to prevent stretch marks. Hair: Apply to roots and scalp using a cotton with soft taps to penetrate better. Here are a gentle massage and wrap the hair with a thin layer of plastic (you can use what we use to preserve food) leaving it on for two hours. Then we can wash your hair with regular shampoo. This treatment can be repeated depending on the needs of the hair.